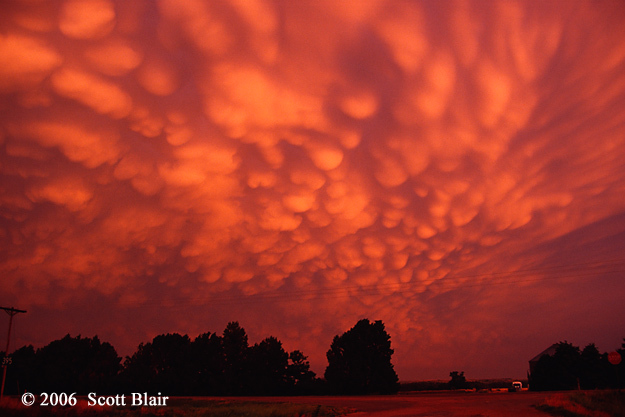 A spectacular display of mammatus clouds at sunset were observed in southwest Nebraska. This experience certainly made up for a relatively frustrating chase day earlier. Finding the windmill on top of a hill was an added bonus as I unloaded two full rolls of slide film. The final two pictures were semi-long exposures that enabled to bring out the pinkish hue from the limited existing remaining light. The car lights aided in illuminating the road. 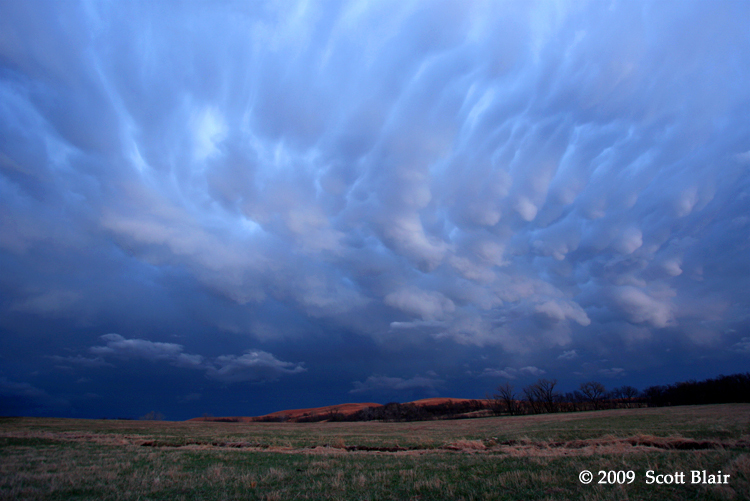 A relaxing chase concluded with an amazing display of mammatus on the back side of the anvil. 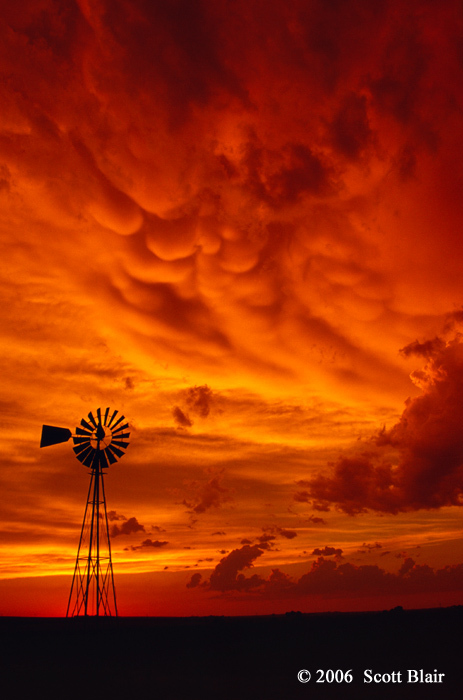 As the sun lowered below the horizon, awesome color poured onto the bulging clouds. 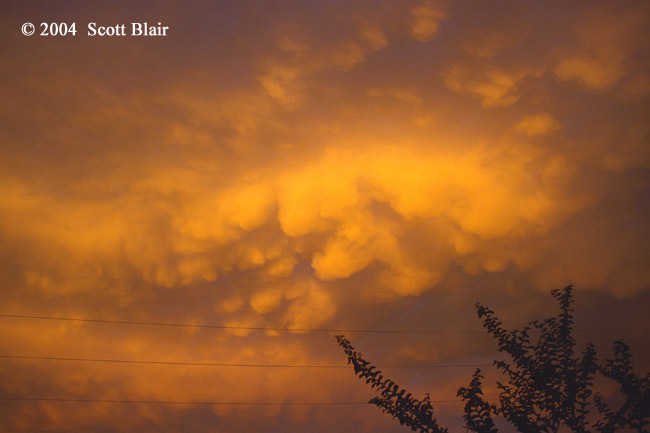 An atypical end to a hot and humid summer day in northeast Louisiana. Marginally severe storms developed across the region during the late afternoon hours. 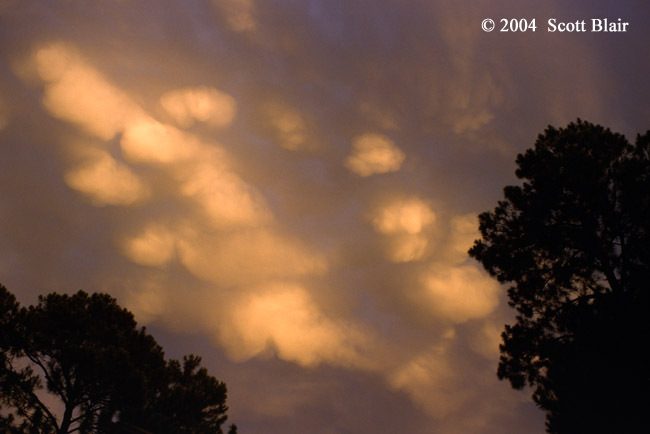 As luck would have it, low clouds cleared just before sunset leaving the anvil cloud and mammatus visible. These features evolved into a pleasing color. 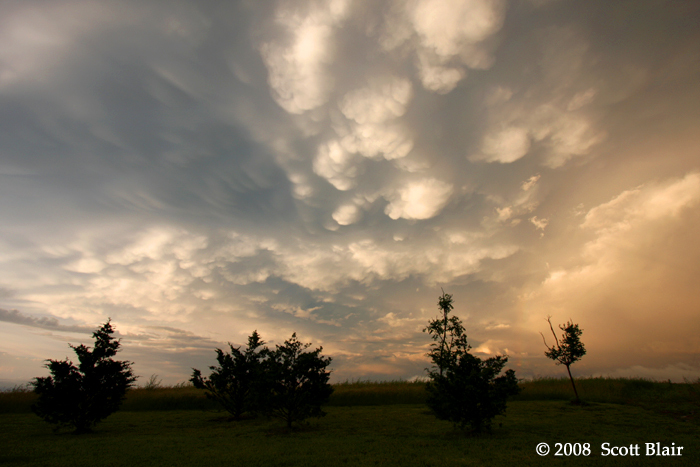 Twilight illuminates an anvil full of developing mammatus clouds over the open range of the Kansas Flint Hills. 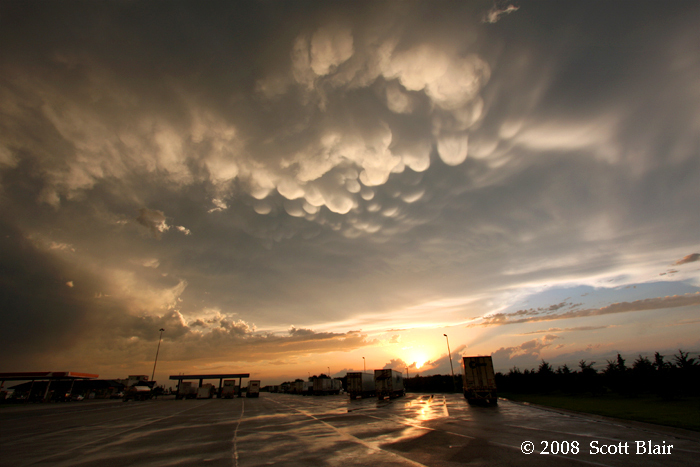 These storms never became severe, but were quite photogenic. 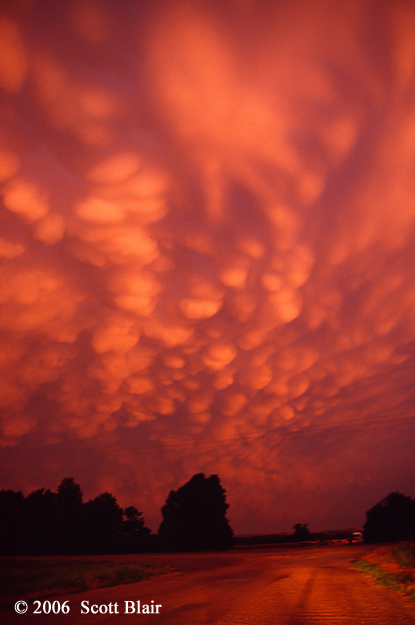 This was the first amazing sunset-mammatus display I ever witnessed. 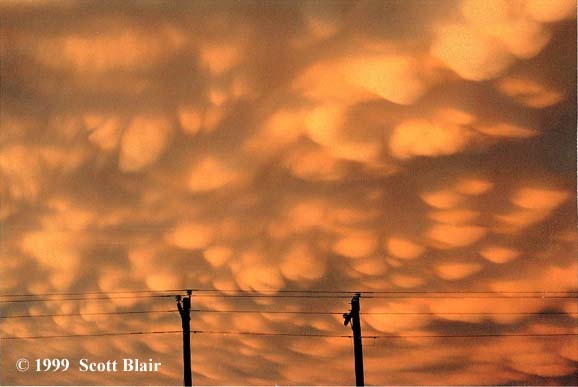 To make things more unique, the event occurred in middle-January within northeast Arkansas, a state notorious for low-clouds to obscure storm features. This supercell produced several tornadoes earlier in the day. 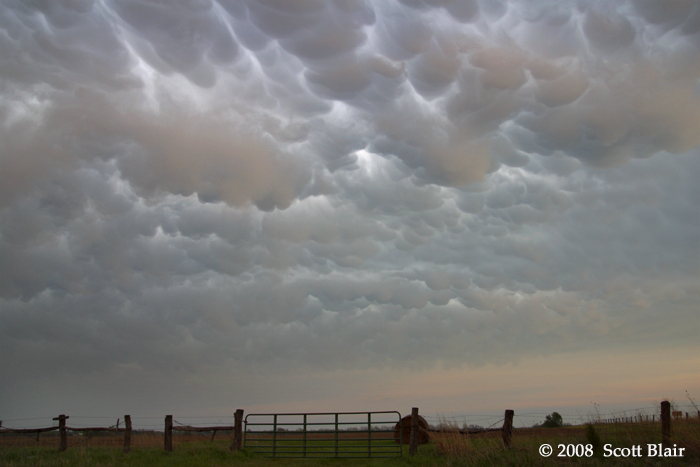 This was another case when the earlier chase day was far from expectations, but was greatly enhanced from the mammatus clouds at sunset. 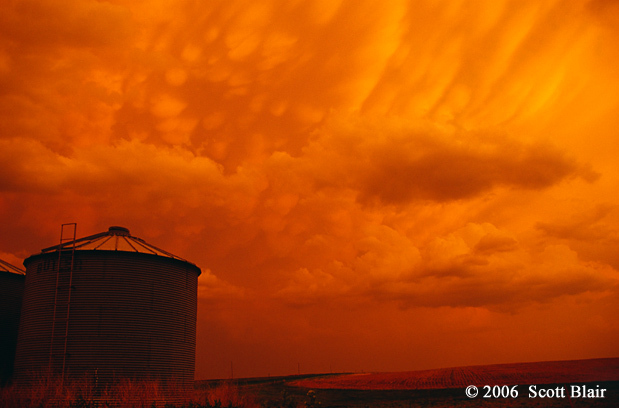 We hunted for a foreground shot, which ultimately was the grain silo. As we exited the vehicles, a large snake took off into the grass next to us! 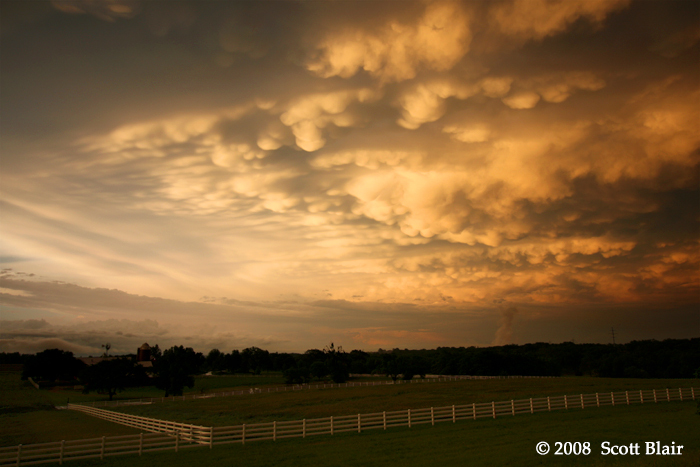 A sky full of mammatus becomes visible ahead of a line of tornadic supercells in southeast Kansas.